የቴዎድሮስ ካሳሁን (ቴዲ አፍሮ) ጥፋቱ ምንድን ነው? ሦስተኛው የቴዎድሮስ ስቃይ የበደሌ ቢራ ፋብሪካ በቴዎድሮስ ዘፈን ለመጠቀም ሲፈልግ፣ የጨለማ ሰዎች ተሰብስበው በቴዎድሮስ ዘፈን የታጀበውን የበደሌ ቢራ እንደማይጠጡ በመዛታቸው ኩባንያው ከቴዎድሮስ ጋር የነበረውን ውል መሰረዙ ነው፤ እንደተገነዘብሁት ቴዎድሮስ ትንሽ በቁንጫ ተሰቃየ እንጂ ክፍያው አልቀረበትም፣ ነገር ግን ቴዎድሮስን አንደሰው፣ እንደኢትዮጵያዊ፣ እንደዘፋኝ የሚያውቁት ሰዎች የሉም፤ ወይም በጨለማዎቹ ሰዎች ተሸንፈዋል፤ ወይም በፍርሃት ቆፈን ደንዝዘዋል! 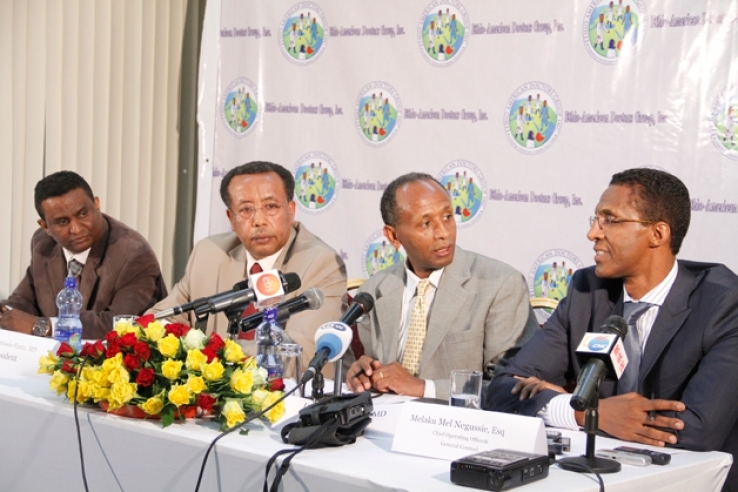 የጨለማ ሰዎቹ ቴዎድሮስ ካለበት አንጠጣውም የተባለው ቢራ ለቴዎድሮስ ወዳጆች እንዴት ጣፈጣቸው? The quiet dismissal of some 10 percent of the station’s journalists underscores the country’s further descent into total media blackout. The firing of dissenting journalists is hardly surprising; the ruling party controls almost all television and radio stations in the country. Most diaspora-based critical blogs and websites are blocked. 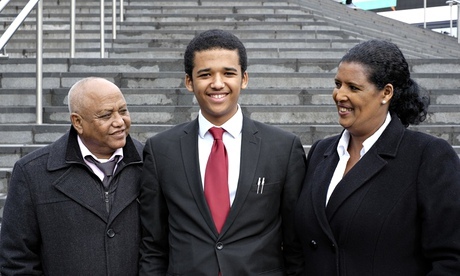 Dubbed one of the enemies of the press, Ethiopia currently imprisons at least 17 journalists and bloggers. On April 26, only days before US Secretary of State John Kerry’s visit to the capital, Addis Ababa, authorities arrested six bloggers and three journalists on charges of working with foreign rights groups and plotting to incite violence using social media. 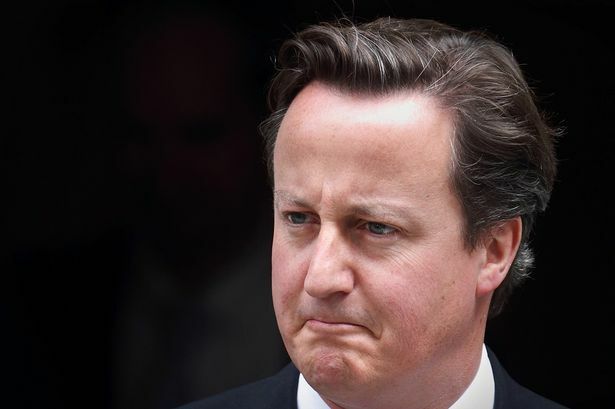 Reports on the immediate cause of the latest purge itself are mixed. But several activist blogs noted that a handful of the dismissed journalists have been irate over the government’s decision not to cover the recent Oromo student protests. 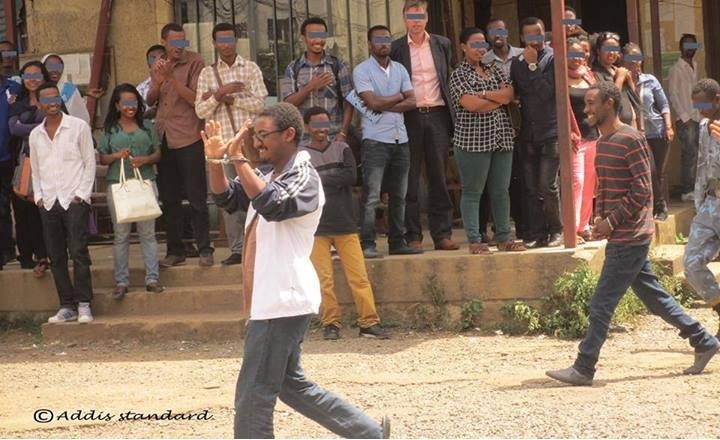 An Ethiopia-based journalist, who asked not to be named due to fear of repercussions, said the 18 reporters were let go after weeks of an indoctrination campaign in the name of “gimgama” (reevaluation) failed to quiet the journalists. The campaign began earlier this month when a meeting was called in Adama, where ORTO is headquartered, to “reindoctrinate” the journalists there into what is sometimes mockingly called “developmental journalism,” which tows government lines on politics and human rights. The journalists reportedly voiced grievances about decisions to ignore widespread civic upheavals while devoting much of the network’s coverage to stories about lackluster state development. Still, although unprecedented, the biggest tragedy is not the termination of these journalists’ positions. Ethiopia already jails more journalists than any other African nation except neighboring Eritrea. The real tragedy is that the Oromo, Ethiopia’s single largest constituency (nearly half of Ethiopia’s 92 million people) lack a single independent media outlet on any platform. The reports of the firings come on the heels of months of anti-government protests by students around the country’s largest state, Oromia. Starting in mid-April, students at various colleges around the country took to the streets to protest what they saw as unconstitutional encroachment by federal authorities on the sovereignty of the state of Oromia, which according to a proposed plan would annex a large chunk of its territory to the federal capital—which is also supposed to double as Oromia’s capital. Authorities fear that an increasingly assertive Oromo nationalism is threatening to spin out of state control, and see journalists as the spear of a generation coming of age since the current Ethiopian regime came to power in 1991. To the surprise of many, the first reports of opposition to the city’s plan came from ORTO’s flagship television network, the TV Oromiyaa (TVO). A week before the protests began, in a rare sign of dissent, journalist Bira Legesse, one of those fired this week, ran a short segment where party members criticized the so-called Addis Ababa master plan. Authorities saw the coverage as a tacit approval for public displeasure with the plan and, therefore, an indirect rebuke of the hastily put-together campaign to sell the merits of the master plan to an already skeptical audience. But once the protests began, culminating in the killings of more than a dozen students in clashes with the police and the detentions and maimings of hundreds of protesters, TVO went mute, aside from reading out approved police bulletins. This did not sit well with the journalists, leading to the indoctrination campaign which, according to one participant, ended without any resolution. In the last decade, the country’s economic improvements have become something of a cliche in the West. In March, Time Beijing correspondent Michael Schuman included Ethiopia in his new development acronym, PINEs—the NextGen emerging markets, namely the Philippines, Indonesia, Nigeria, and Ethiopia. Schuman called Ethiopia “one of Africa’s lion economies,” along with Nigeria. Ethiopia’s state-controlled media touts the country’s “radical” economic transformation ad nauseum. In analysis after analysis, Western journalists and donors such as the World Bank Group and the International Monetary Fund refer to the country as “one of the fastest growing non-oil economies” in Africa. Mohammed Ademo is a journalist at Al Jazeera America. He’s also the founder and editor of OPride.com, an independent news website about Ethiopia. He can be reached on Twitter @OPride. ETHIOPIAN PEOPLES PATRIOTIC FRONT GAURD MEMBERS MEETING IN ASCHAFFENBUG. 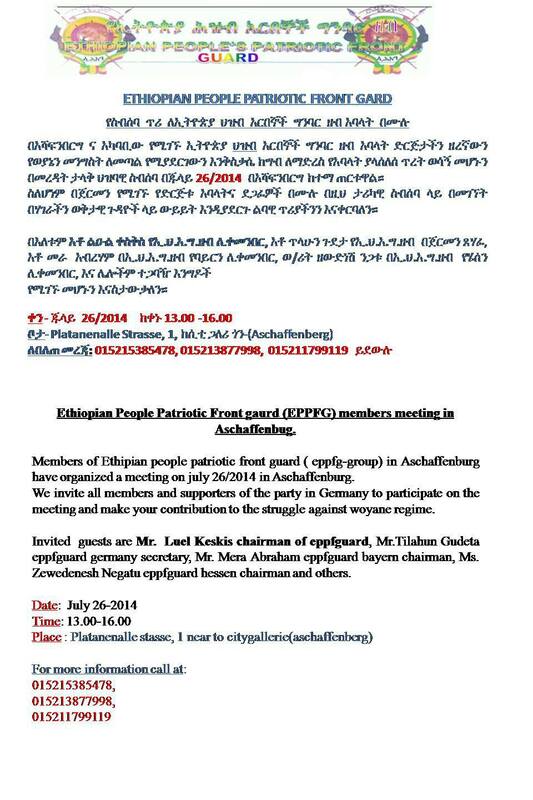 MEMBERS OF ETHIPIAN PEOPLES PATRIOTIC FRONT GUARD’S( EPPFG-GROUP)IN ASCHAFFENBURG HAVE ORGANIZED A MEETING ON JULY 26/2014 IN ASCHAFFENBURG. WE INVITE ALL MEMBERS AND SUPPORTERS OF THE PARTY IN GERMANY TO PARTICIPTAE ON THE MEEETING AND MAKE THEIR CONTRIBUTION TO THE STRUGGLE AGAINST WOYANE REGIME.INVITED GEUSTS ARE ATO LUEL KESKIS CHAIRMAN OF EPPFGUARD,ATO TILAHUN GUDETA EPPFGUARD GERMANY SECRETARY ,ATO MERA ABRAHAM EPPFGUARD BAYERN CHAIRMAN, ZEWEDENESH NEGATU EPPFGUARD HESSEN CHAIRMAN AND OTHERS.